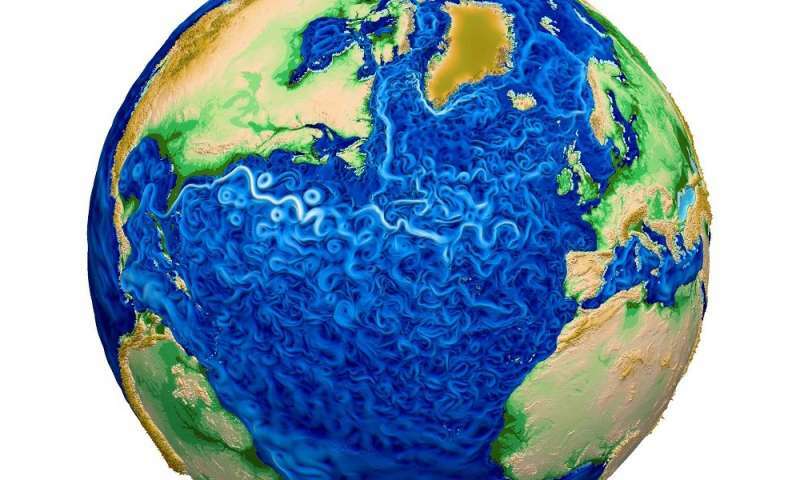 The Earth—with its myriad shifting atmospheric, oceanic, land and ice components—presents an extraordinarily complex system to simulate using computer models. But a new Earth modeling system, the Energy Exascale Earth System Model (E3SM), is now able to capture and simulate all these components together. Released on April 23, after four years of development, E3SM features weather-scale resolution — i.e., enough detail to capture fronts, storms and hurricanes — and uses advanced computers to simulate aspects of the Earth's variability. The system can help researchers anticipate decadal-scale changes that could influence the U.S. energy sector in years to come. "With this new system, we'll be able to more realistically simulate the present, which gives us more confidence to simulate the future," says David Bader, computational scientist at Lawrence Livermore National Laboratory and overall E3SM project lead. The E3SM project is supported by the U.S. Department of Energy's (DOE) Office of Biological and Environmental Research. "One of E3SM's purposes is to help ensure that DOE's climate mission can be met—including on future exascale systems," said Robert Jacob, a computational climate scientist in the Environmental Science division of DOE's Argonne National Laboratory and one of 15 project co-leaders. To support this mission, the project's goal is to develop an Earth system model that increases prediction reliability. This objective has historically been limited by constraints in computing technologies and uncertainties in theory and observations. Enhancing prediction reliability requires advances on two frontiers: (1) improved simulation of Earth system processes by developing new models of physical processes, increasing model resolution and enhancing computational performance; and (2) representing the two-way interactions between human activities and natural processes more realistically, especially where these interactions affect U.S. energy needs. "This model adds a much more complete representation between interactions of the energy system and the Earth system," said David Bader, a computational scientist at Lawrence Livermore National Laboratory and overall E3SM project lead. "With this new system, we'll be able to more realistically simulate the present, which gives us more confidence to simulate the future." Simulating the Earth involves solving approximations of physical, chemical and biological governing equations on spatial grids at the highest resolutions possible. This objective underscores the project's heavy emphasis on both performance and infrastructure—two key areas of strength for Argonne. "Our researchers have been active in ensuring that the model performs well with many threads," said Jacob, who will lead the infrastructure group in Phase II, which—with E3SM's initial release—starts on July 1. Singling out the threading expertise of performance engineer Azamat Mametjanov of Argonne's Mathematics and Computer Science division, Jacob continued: "We've been running and testing on Theta, our new 10-petaflop system at Argonne's Leadership Computing Facility, and will conduct some of the high-res simulations on that platform." Dust and aerosols: These play a major role in the atmosphere, radiation and clouds, as well as various chemical cycles. The E3SM project has involved researchers at multiple DOE laboratories including Argonne, Brookhaven, Lawrence Livermore, Lawrence Berkeley, Los Alamos, Oak Ridge, Pacific Northwest and Sandia national laboratories, as well as several universities. The project also benefits from collaboration within DOE, including with the Exascale Computing Project and programs in Scientific Discovery through Advanced Computing, Climate Model Development and Validation, Atmospheric Radiation Measurement, Program for Climate Model Diagnosis and Intercomparison, International Land Model Benchmarking Project, Community Earth System Model and Next-Generation Ecosystem Experiments for the Arctic and the Tropics.